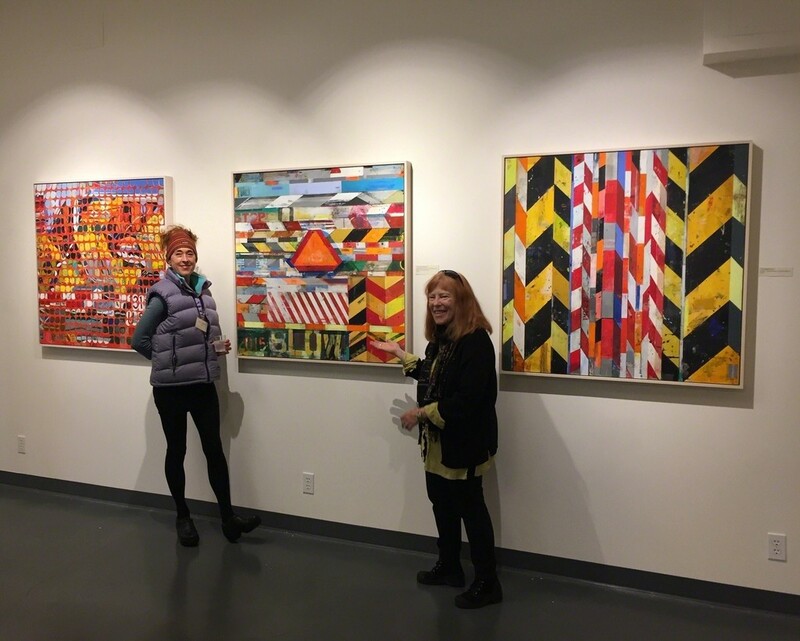 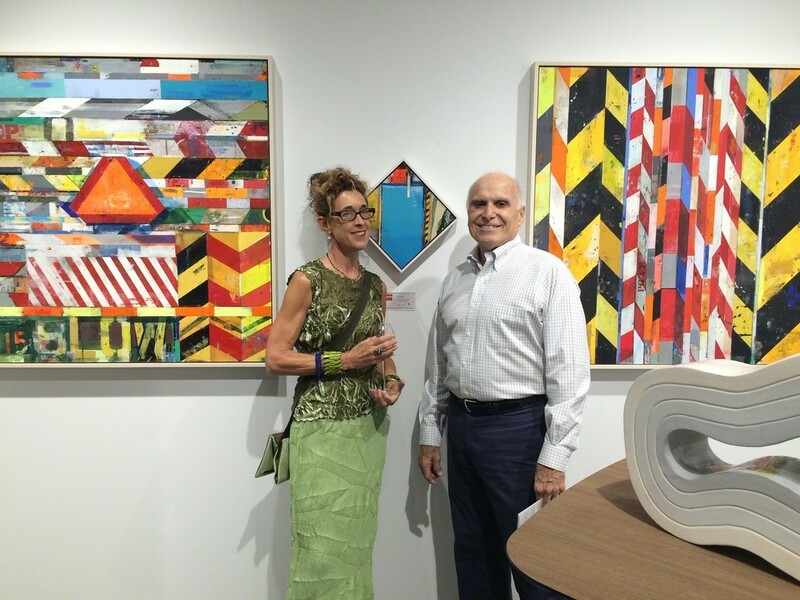 Peninsula Museum of Art art talk with Kim Frohsin during her solo Cautionary Tales exhibition in 2018. 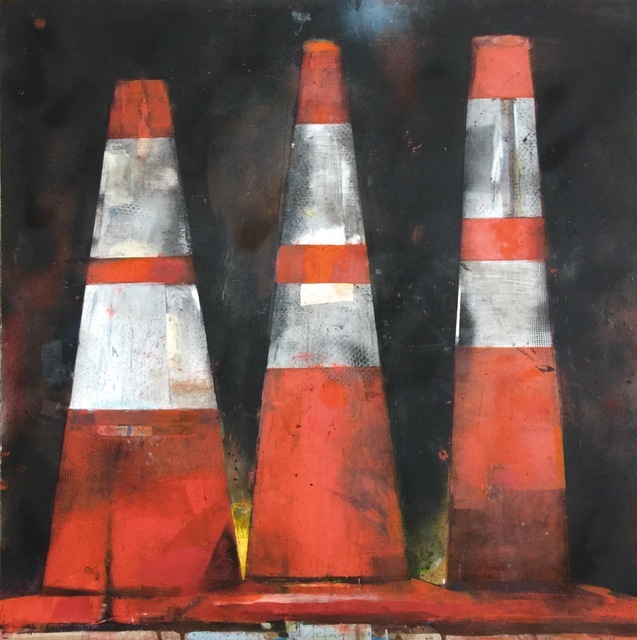 Kim Frohsin's groundbreaking ‘Cautionary Tales' series from 2015 considers the price of progress during a time of rampant growth in San Francisco and beyond. 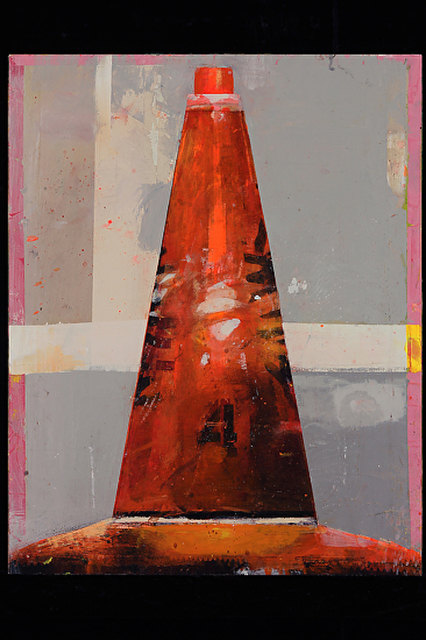 Kim Frohsin's Cautionary Tales marks a grand departure for this third- generation Bay Area figurative artist, who is best known for her exquisite draftsmanship, innate color sense, and female figuration. 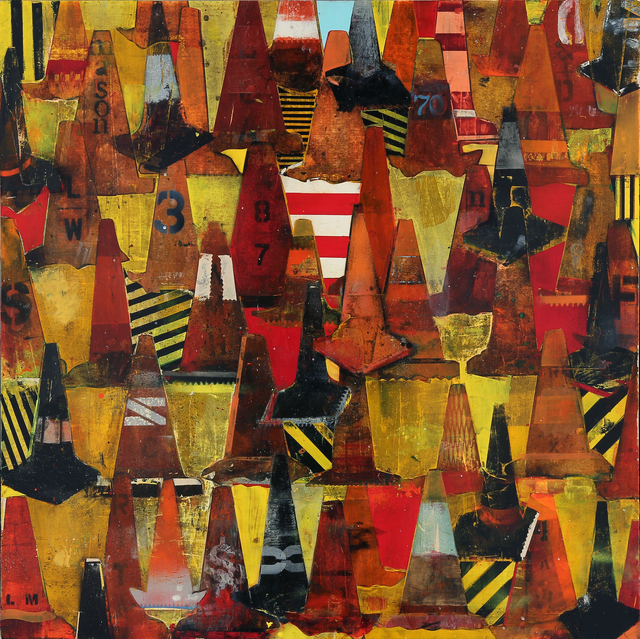 With Cautionary Tales, Frohsin pushes her mixed media and collage talent into an entirely new realm. 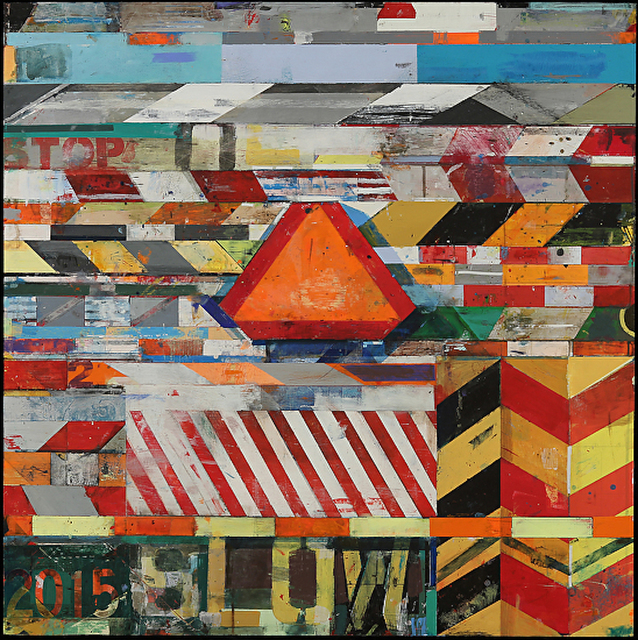 Cautionary Tales reflects on how technology is disrupting our world with a speed at which we cannot comprehend the repercussions. 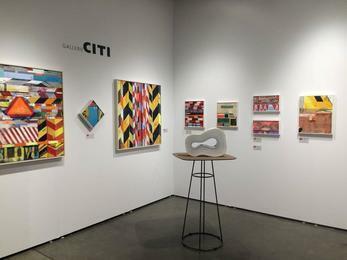 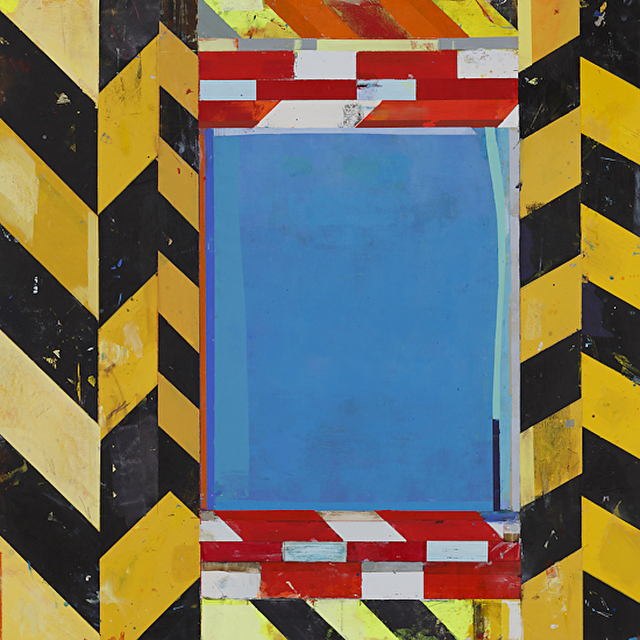 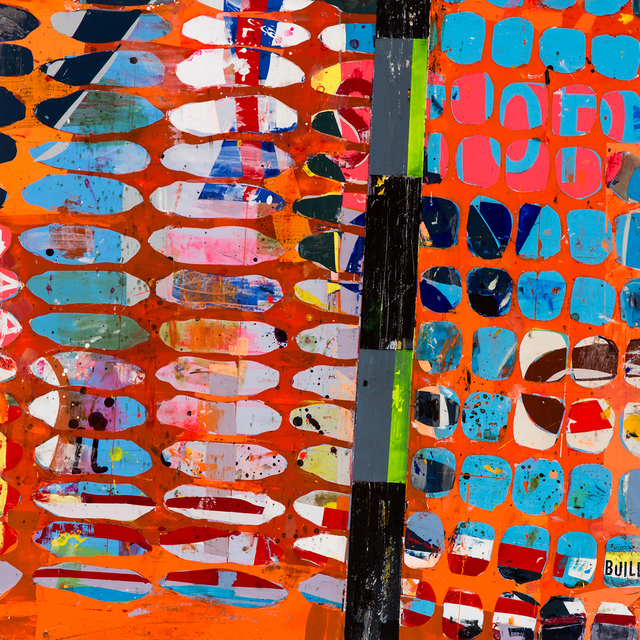 It is created in reaction to the wholesale gentrification and neighborhood dislocations the artist has experienced in her own beloved San Francisco, where changes in the name of societal advancement are occurring at a dizzying pace. 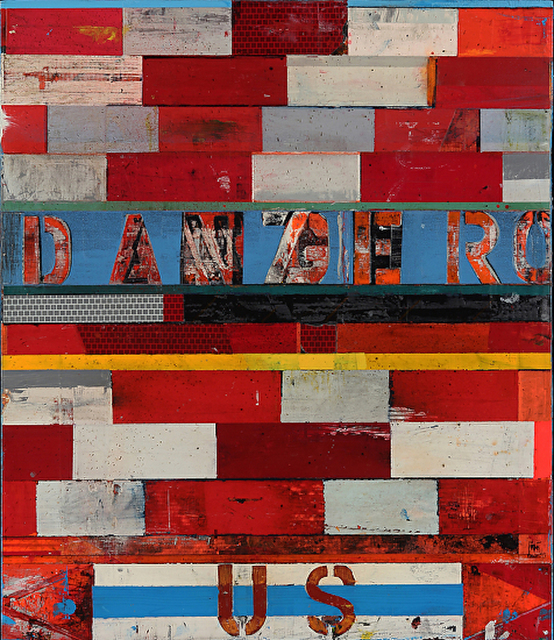 The messages are universal, however, and not limited to San Francisco. 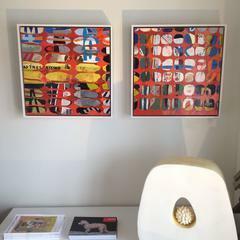 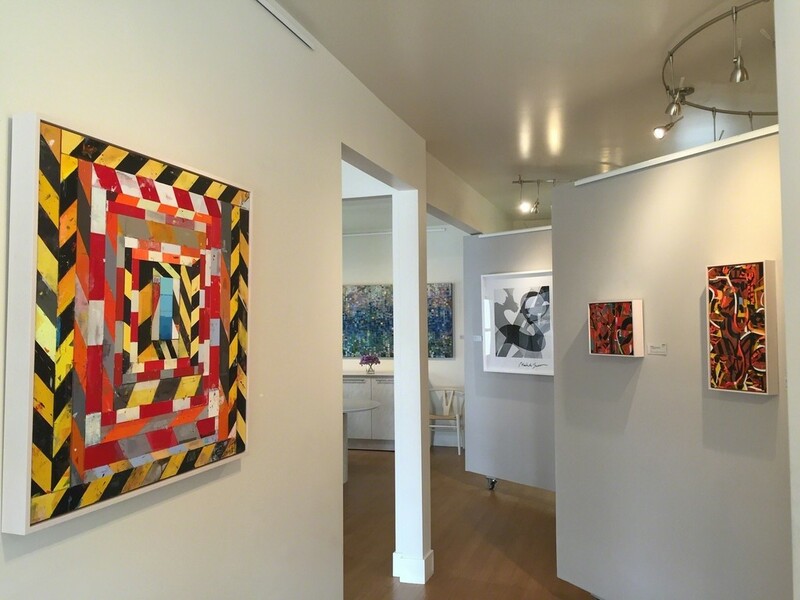 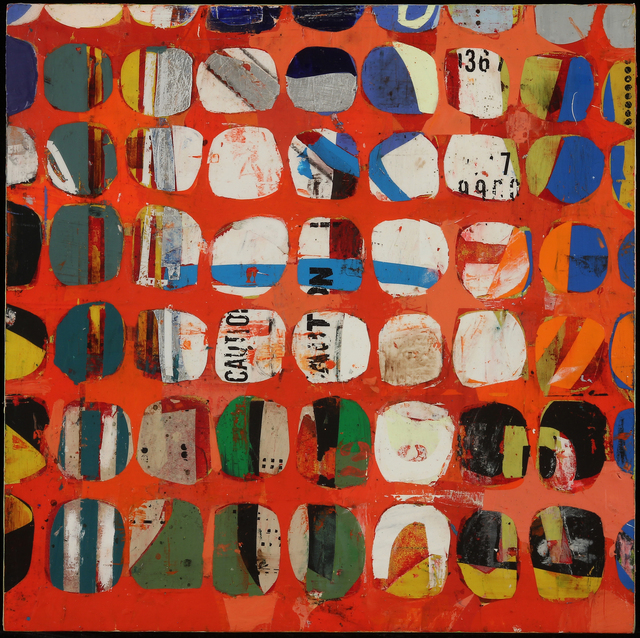 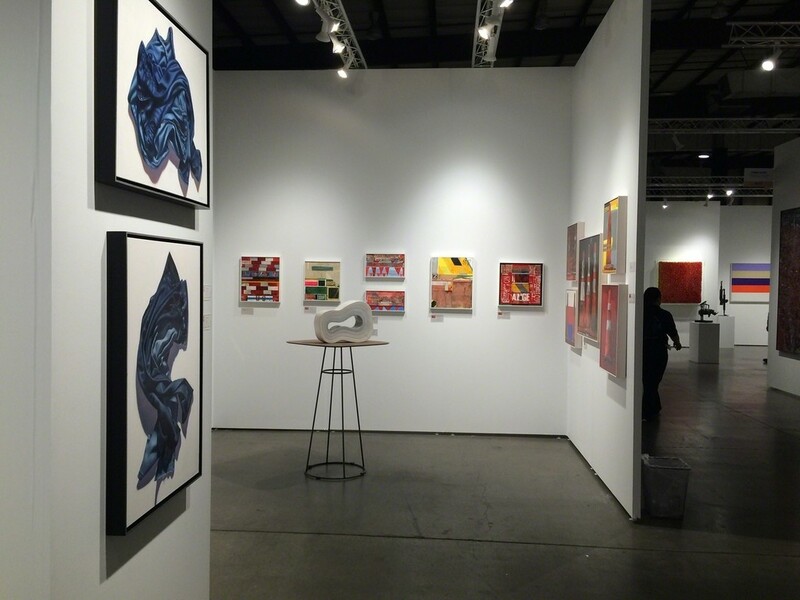 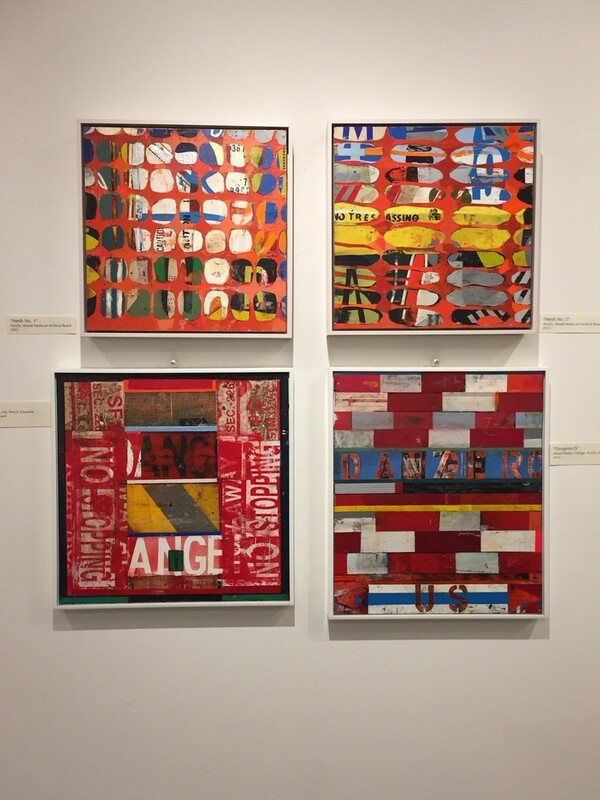 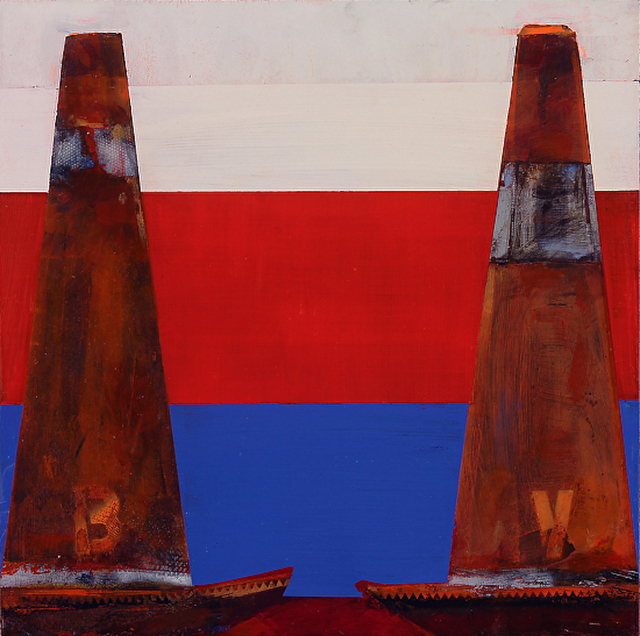 Although the works make a bold statement, they are highly personal and directed with a quiet, guiding voice. 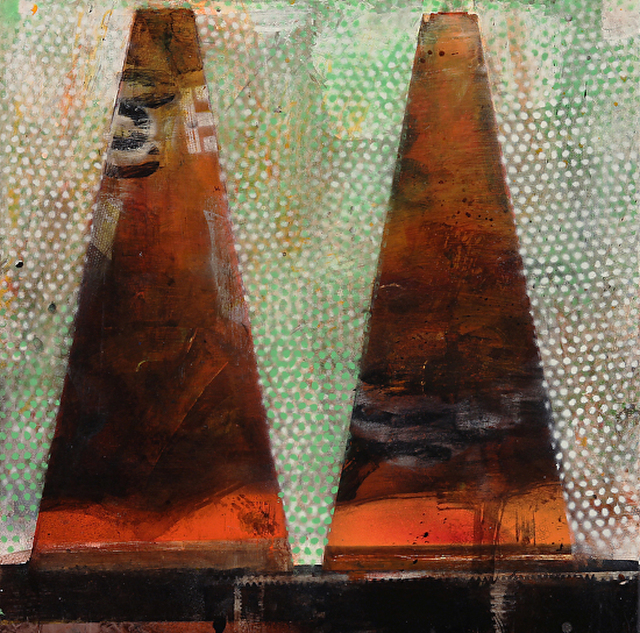 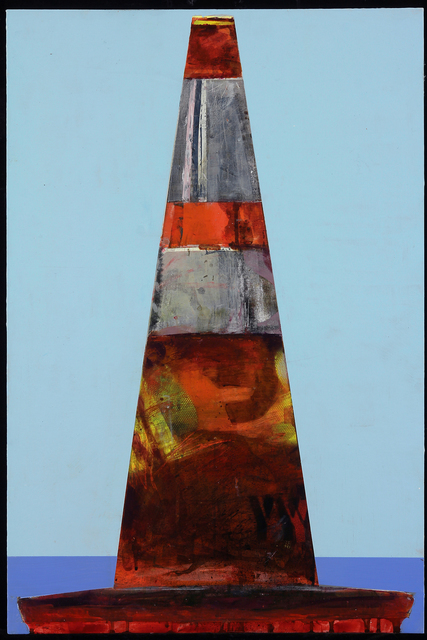 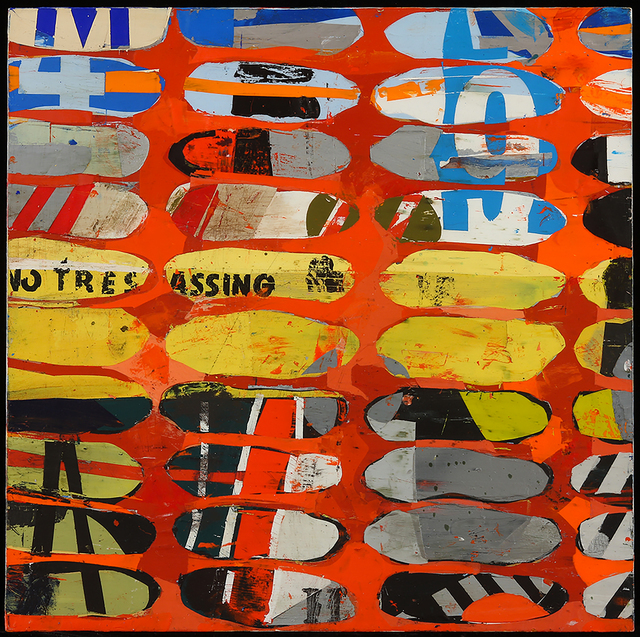 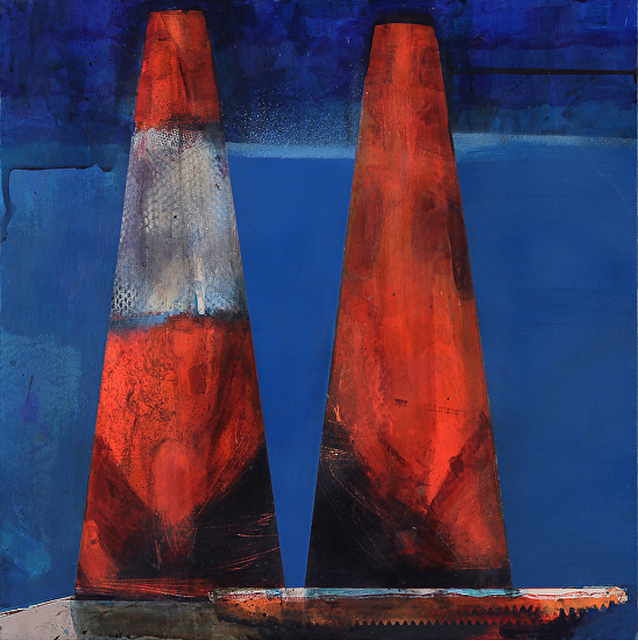 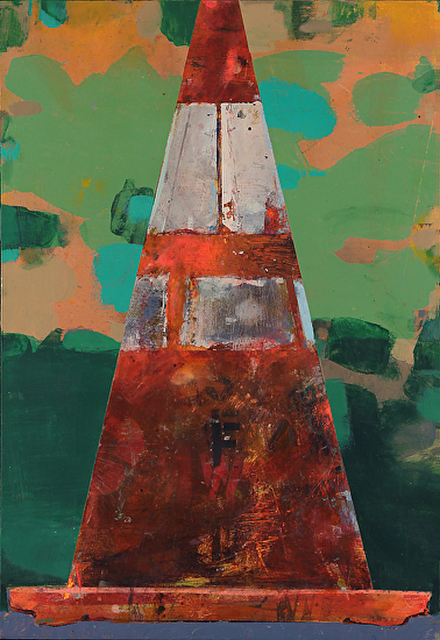 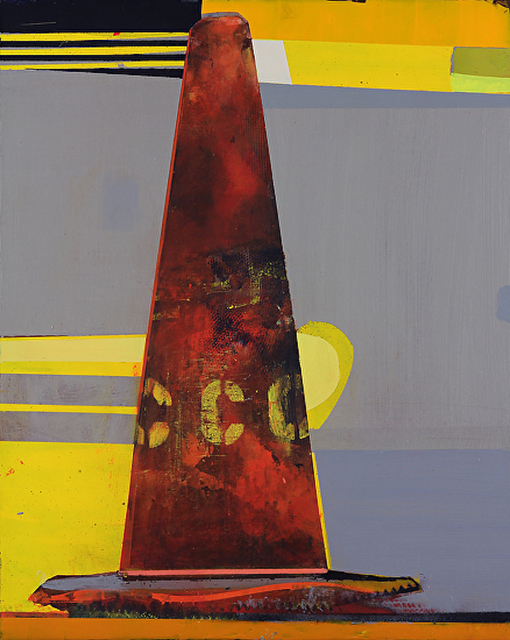 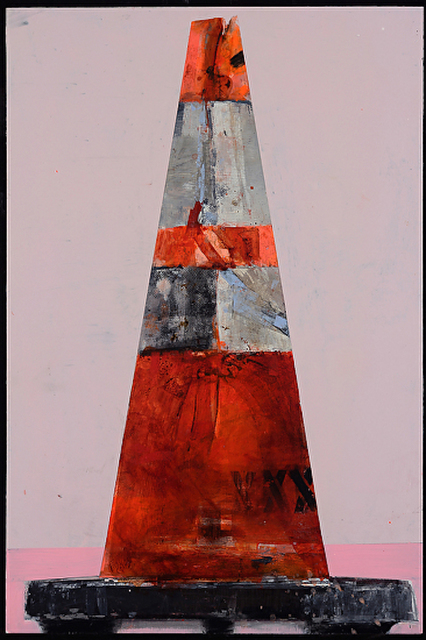 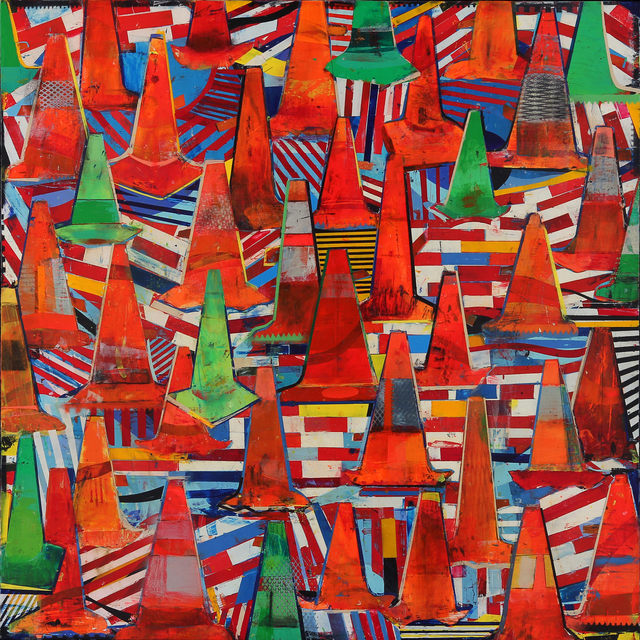 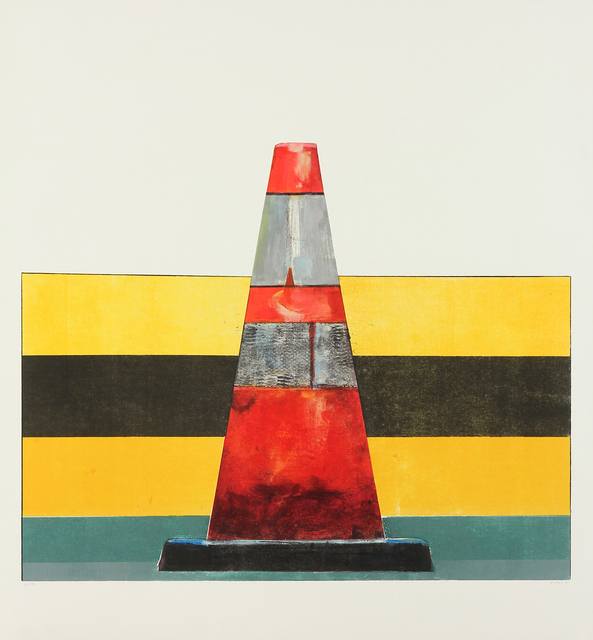 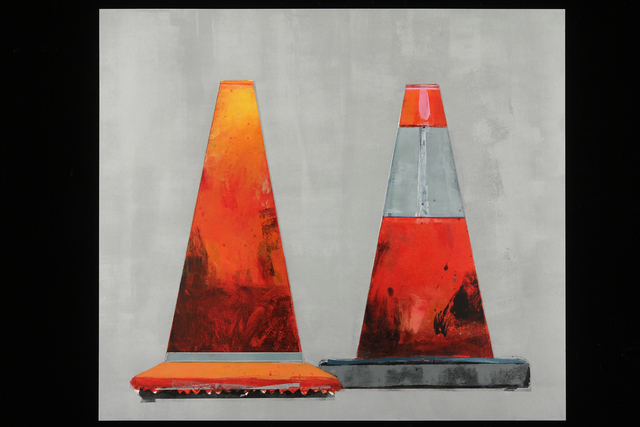 In this series, the orange cones used at worksites often become the “figure,” either standing alone or dotting a modern landscape. 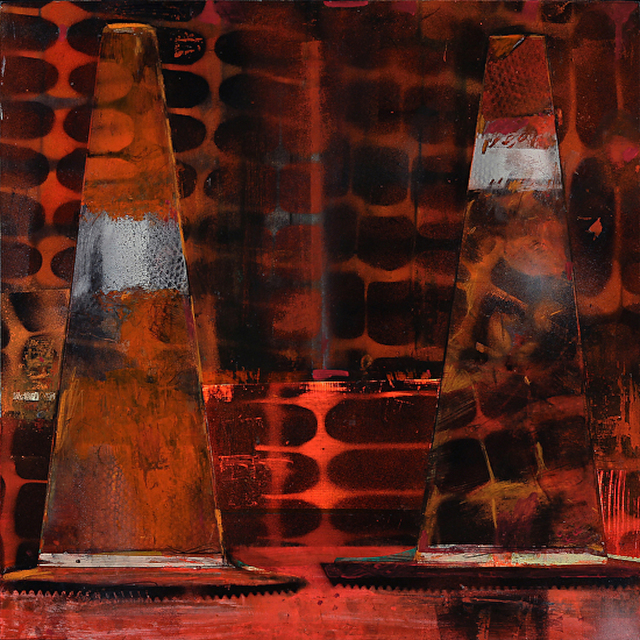 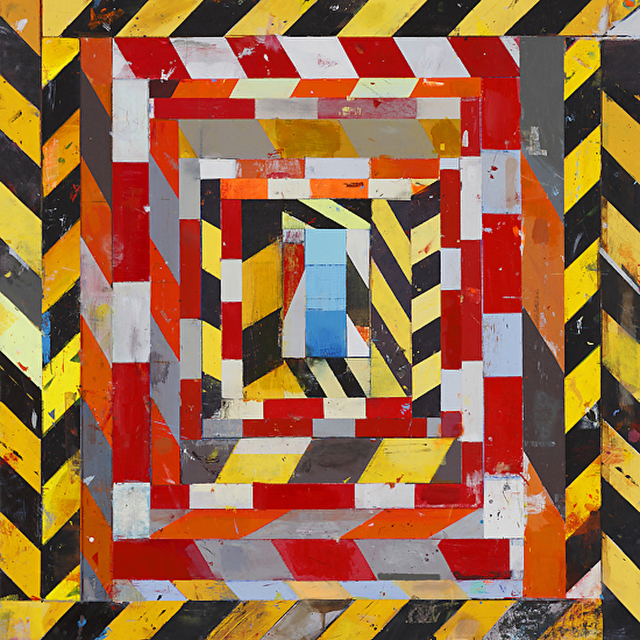 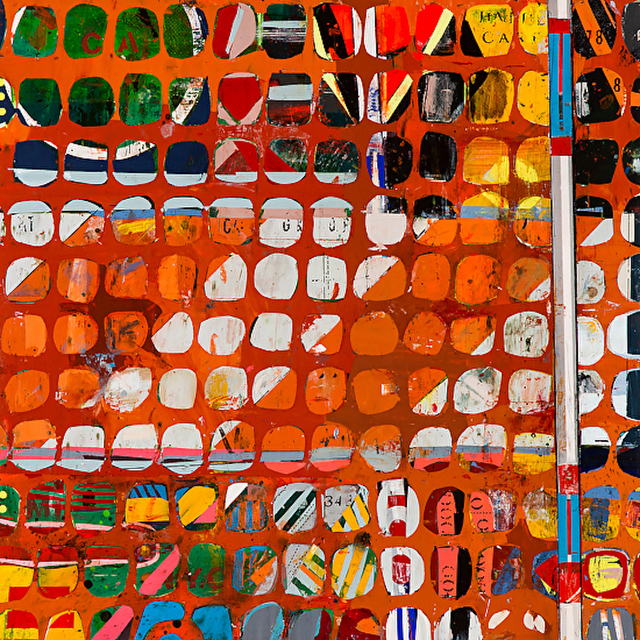 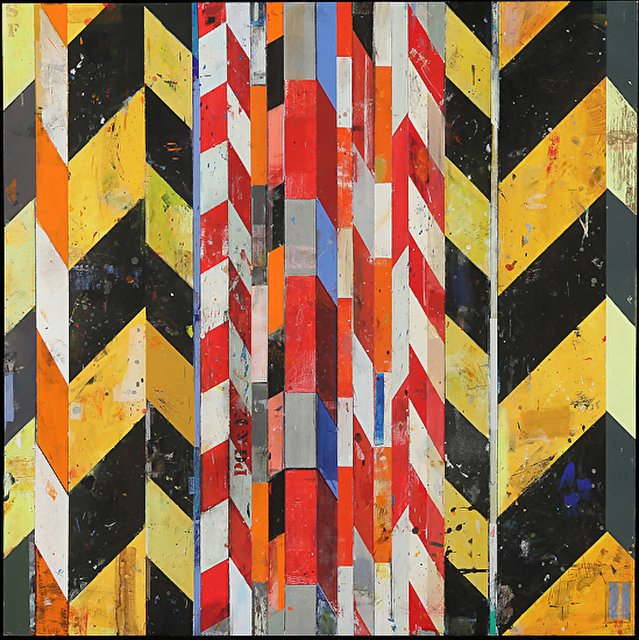 Construction zones may also be viewed through orange mesh strung between story poles, presenting an abstracted, familiar landscape as if it were falling away at high speed. 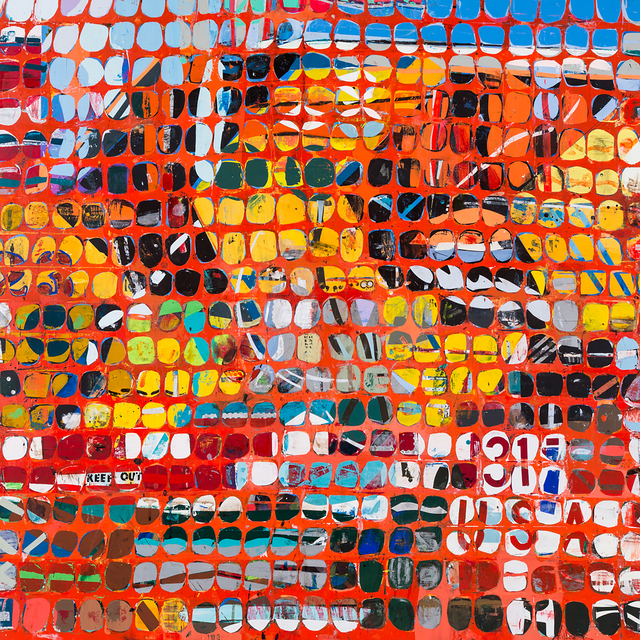 While subtle concerns and warnings are embedded in the paintings, there are occasional dots of blue amidst the chaos, perhaps representing hope, a serene swimming pool, or a baptismal in which to wash away our sins.